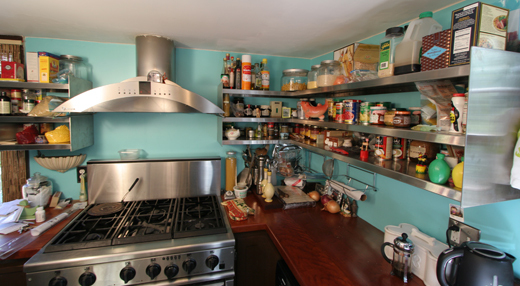 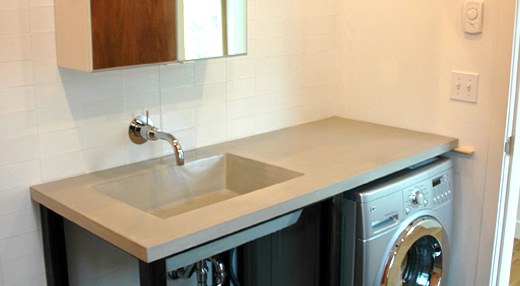 Our residential work is multi-disciplinary. 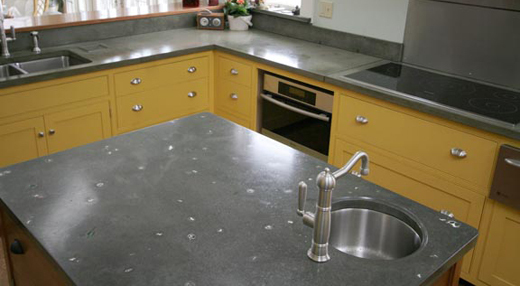 We employ our full metal fabrication shop, woodworking and concrete casting facility. 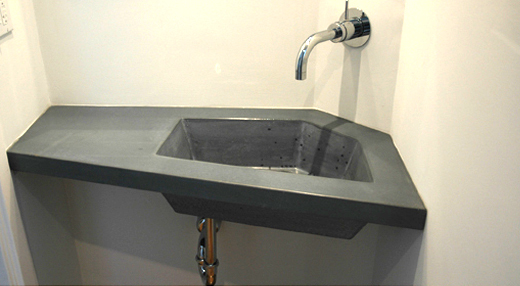 This has expanded our custom mold making capabilities and enables us to bring our clients’ vision to life. 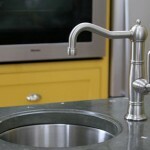 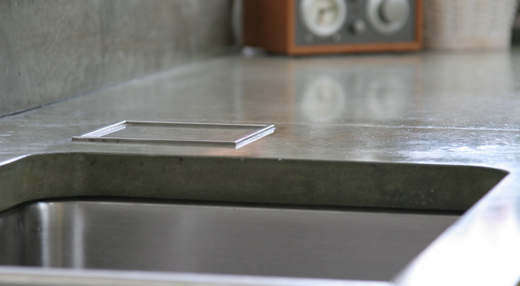 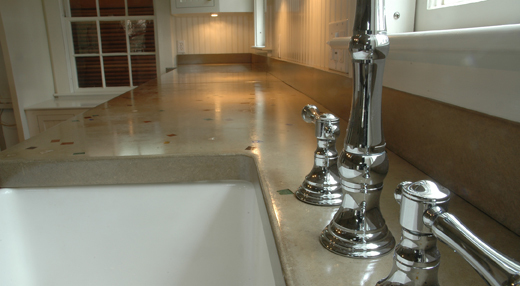 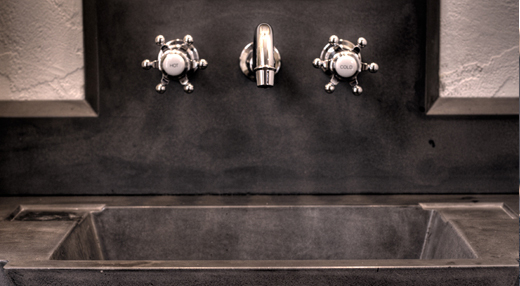 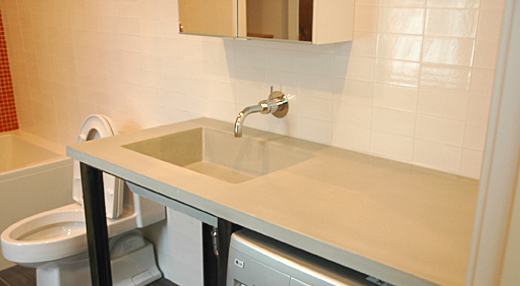 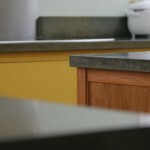 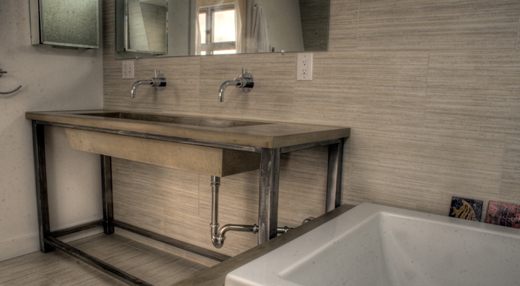 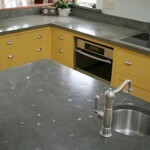 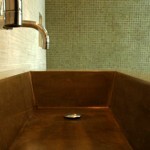 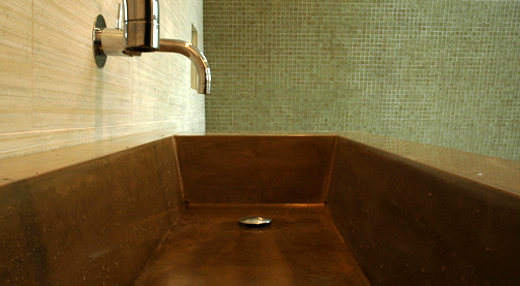 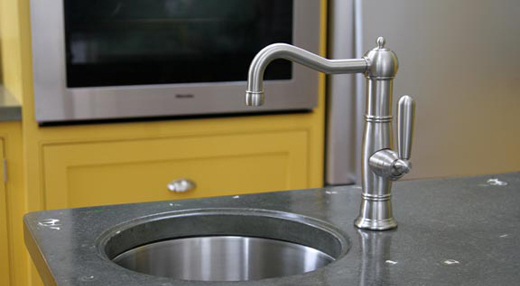 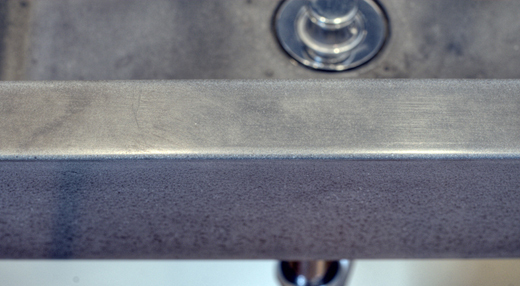 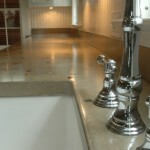 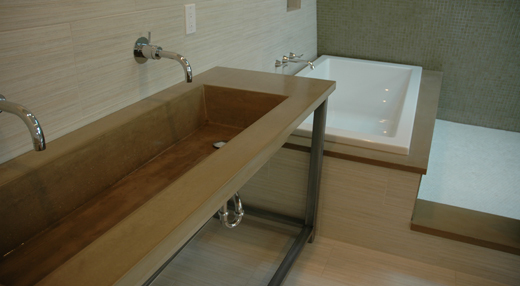 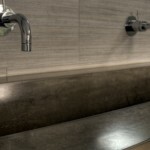 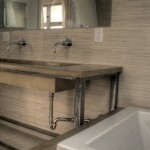 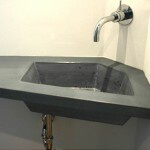 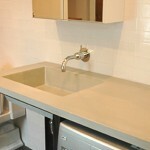 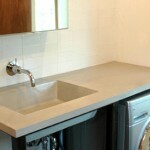 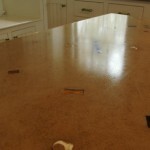 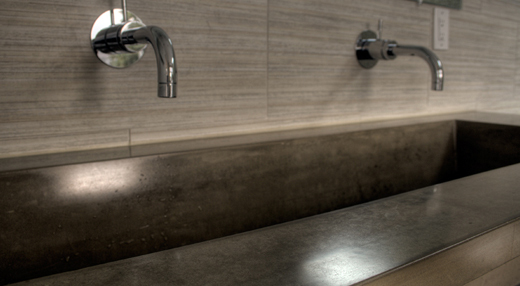 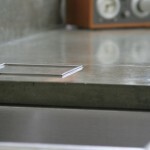 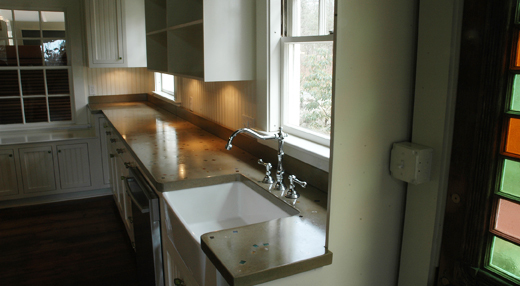 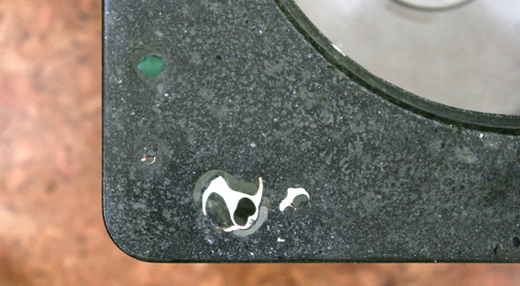 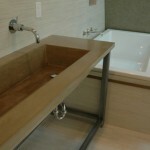 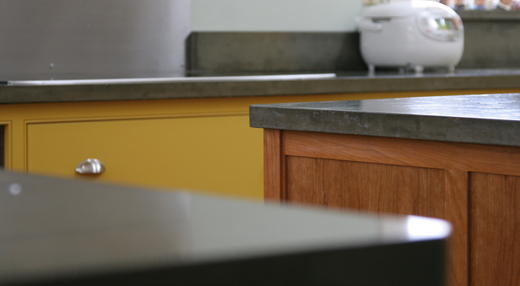 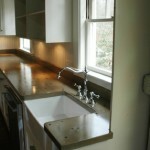 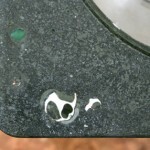 This is exhibited in our custom sinks and our proprietary method of casting objects into the surface of our countertops. 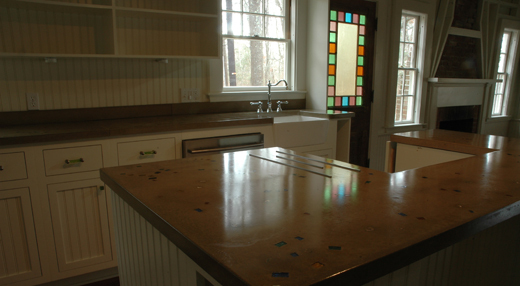 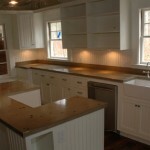 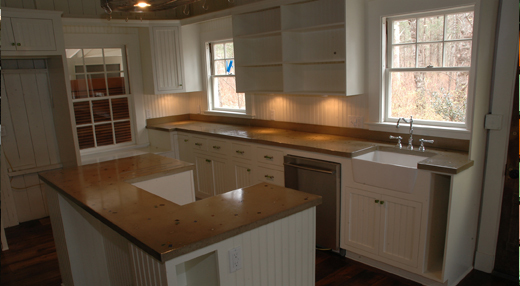 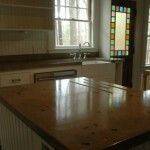 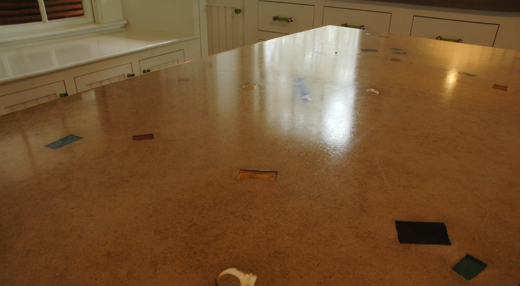 For instance, we personalized the island in the green countertop kitchen with the family’s collection of sea glass and shells. 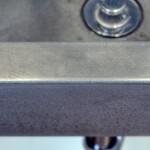 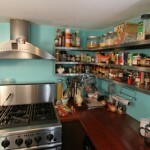 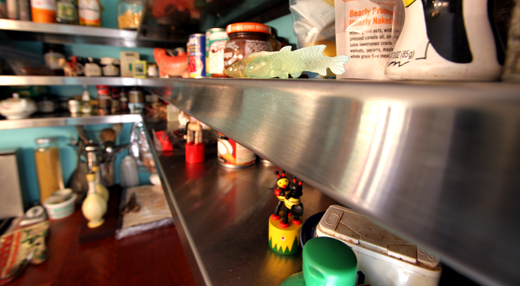 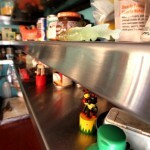 By imbedding these objects in the surface, we are able to truly bring the personal into the project.